The rain that has fallen overnight has left a puddle in the church, and the pastor, Rev. Franco Mbaye-Bondoi, is worried that if the walls are not repaired before the heavy rains begin in two months, they may collapse. The dangerous cracks in the walls are the only signs left of the deadly shelling the church suffered five years ago today. But members of his congregation, some just toddlers when it happened, also live with the scars of what they suffered that day. On 13 April 2013, three artillery shells crashed into the Evangelical Church of Brethren, in the Cité Jean 23 area, in Bangui the capital of Central African Republic, killing seven people. Thirty others, including children, were seriously injured. The first shell exploded in the corner where the children gathered for Sunday School. The shells were fired by Séléka rebels, a coalition of predominantly Muslim rebels that had swept across the country into the capital and overthrown president François Bozizé three weeks earlier. Rev. Mbaye-Bondoi recalled the day that shattered the life of dozens of members of his church. “The worship service had already started. The church was only half full because of the crisis in the city. “The choir had sung, the children had also sung. The guest pastor, who was seated on my left, rose to introduce his message, when suddenly we heard a loud noise,” he said, as the shells fell one after another. Two inside, and another one outside the church, creating an atmosphere of panic and sorrow among the attendees. “There was smoke everywhere. There was dust everywhere. Nobody could see his neighbour that day. People were screaming all over the church”, said Rev. Mbaye-Bondoi. On that day, four were killed among the women and children who were sitting on an area of the building allocated to children for Sunday School. The second device exploded in another corner of the church, where deacons and elders were sitting. Some of them were seriously injured. The two shells shattered the roof of the building and created two huge holes on the floor. The third device landed in the churchyard without causing further damage. Rev. 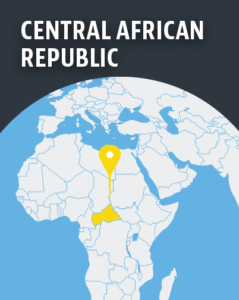 Mbaye-Bondoi, who also is the general Secretary of the Evangelical Alliance in Central African Republic, was thrown to the ground by the second explosion. He suffered a minor injury in his right ear. Five years on, some of the survivors are still carrying the scars of the attack. 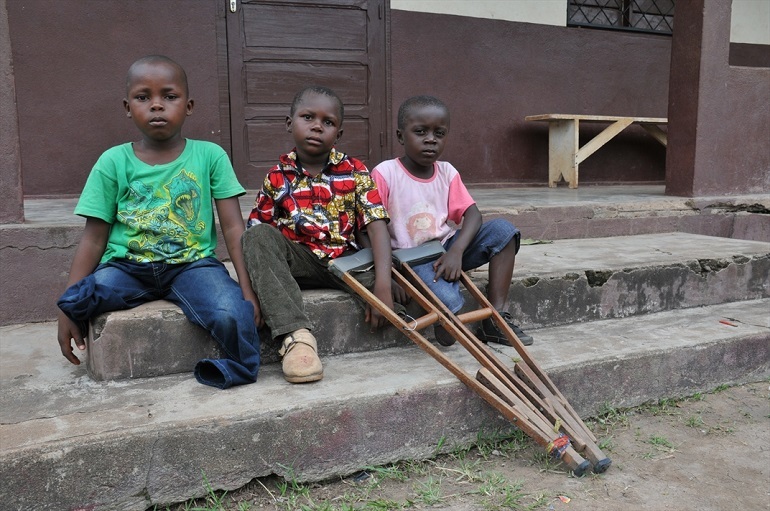 Three young children lost limbs as a result of the explosions, Steven Malengou (6) and Dieu Fera Zinon (8w) both lost a leg; Jeovani Mongounou (7) had to have both his legs amputated. The boys were only two, one and three at the time of the shelling. Instead of running around, they are spending their childhoods using prosthetic legs and wheelchairs. But these, paid for by the charity Open Doors, give them a means keep up with the pace of life around them. On the morning of the shelling, the Sunday School teacher was a man named Saint Jacob Quanizolo. Now in his 30s, he is a third-year management student. 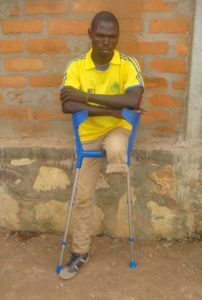 Like Steven and Dieu Fera, he had to have his left leg amputated because it was so badly injured when the first device exploded. Today he is engaged to be married and is able to continue his studies, though he is reluctant to talk to media about the incident. He said several media organisations used to interview the injured soon after the attack, but is angry that today very few are interested in their fate. Similarly, Rev. Mbaye-Bondoi is angry that the church has received no compensation from the government. The church has launched the construction of a new building but the works were slowed down by a lack of resources, he said. Meanwhile the government is struggling to steer the country out of the ongoing unrest. The election of President Faustin-Archange Touadéra in 2016 raised some hope that the restive country would return to normality. But two years on, his authority has not yet reached beyond the capital. More than 14 armed groups are active in CAR, together controlling around three quarters of the country’s territory. And now, violence has reached the capital. On Wednesday (11 April) 19 people, including a UN soldier, were killed and more than 100 wounded in clashes between peacekeepers and militias in PK5, the commercial hub and predominantly Muslim area of the capital, AFP reported. Reacting to the clashes, President Touadéra said that criminal groups were holding people in the troubled district to ransom. “Bandits have taken the population hostage,” Touadéra said as he left a meeting of UN and African Union representatives, according to a video released by the UN. “This operation has as its sole objective the apprehension of the leaders [of the armed militias]. It is not against one community or against the population” of the area, he added. Recent violence in the eastern village of Séko and its surroundings claimed 46 lives, including that of a Catholic priest. 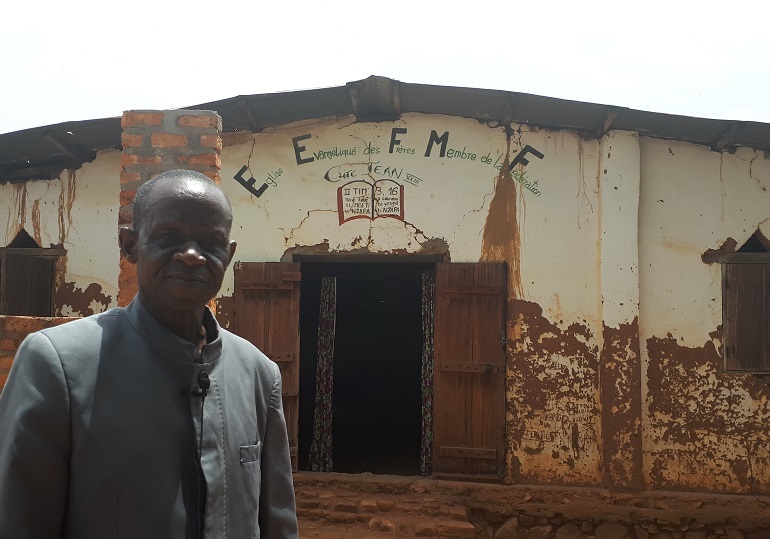 Fr Joseph Désiré Angbabata, 49, was killed when militants from UPC (l’Unité pour la Paix en Centrafrique), a predominantly Muslim and Fulani group comprised of fighters who formerly fought for the Séléka rebel group stormed his St Charles Lwanga parish on 21 March.